Rapossa is a new name in the world of Electronic dance and Ambient music. He makes passionate worthy music which captures one’s attention with its magnetic sound and tender vocals. 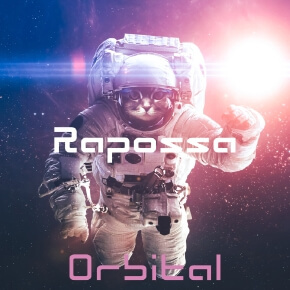 Rapossa now presents his debut EP „Orbital“ on the German imprint “Lemongrassmusic”. It contains all the brightest and kindest things, as well as warmth and sincerity of feelings. “Orbital” is a complete dive into the amazing world of deep space music. Like a comet it makes its way through our galaxy, passing planets and shining brightly in the night sky.